SHP e-News April 2015	Who were the Girondins? Greetings from the Schools History Project. Are you interested in developing your career by becoming an SHP Regional Adviser? Regional Advisers play an important role in the work of the Schools History Project. They provide direct contact with SHP for history teachers within a particular region and contribute to SHP’s activities at a national level. The post of SHP Regional Adviser offers a great opportunity for professional development and allows you to attend all SHP’s conferences without charge. We currently have vacancies in the West Midlands, the North West, the North East and Yorkshire/Humberside. The closing date is Friday 25 September. As usual, SHP will be offering three national conferences during the course of school year. SHP’s Primary Conference will be held at the British Museum on 30 January 2016. A full programme and booking details will be on the website at the beginning of October. This year, SHP’s Secondary Day Conference will be held at Bristol’s M Shed on 5 March 2016 . Look out for a full programme and booking details in November. SHP’s 28th Residential Conference will be held at Leeds Trinity University from 8 to 10 July 2016. The programme and booking details will be available on the website in January. The SHP conferences share the outstanding practice of some of the country’s most inspiring teachers and educators. I hope you can make one of our 2015-16 conferences. The third title in the new SHP series for Key Stage 3 Making Sense of History, 1745-1901, by Neil Bates, Alec Fisher and Richard Kennet and John D. Clare, was published in April 2015. We are looking forward to the imminent publication of the final book in the series: Making Sense of History: 1901 to present day. The Vietnam War in Context, by Dale Scarboro, is an outstanding recent addition to SHP’s A Level series, Enquiring History. For the time being, Dale’s book is the final publication in the series as we focus our time and energy on publications for the the new GCSE. 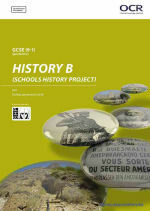 Enquiring History for GCSE is SHP’s new series for OCR B (SHP) GCSE. 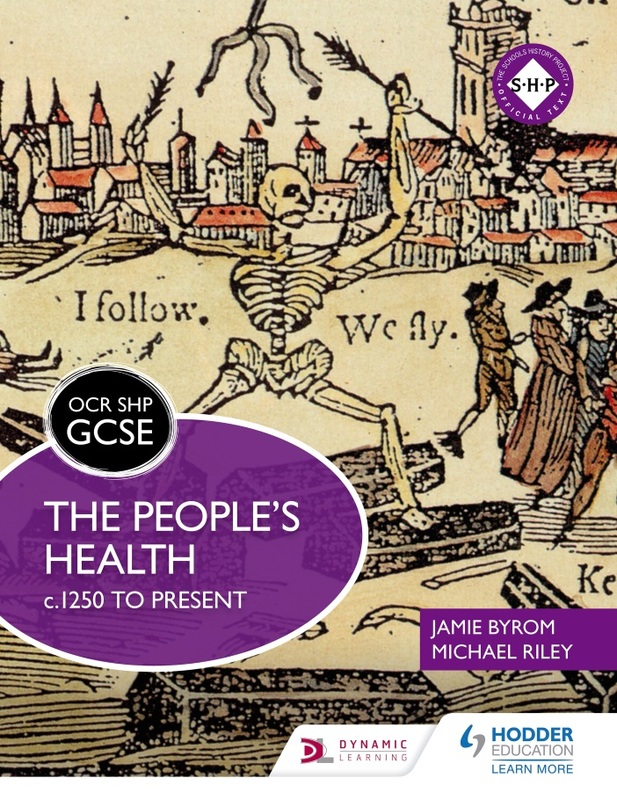 The following titles will be published to support teaching of our new specification: The People’s Health, by Jamie Byrom and Michael Riley; Crime and Punishment, by Jamie Byrom and Michael Riley; Migrants to Britain, by Matin Spafford and Dan Lyndon-Cohen: The Norman Conquest, by Michael Fordham; The Elizabethans, by Jamie Byrom and Michael Riley; Britain in Peace and War, by Chris Culpin; Viking Expansion, by Chris Culpin; The Mughal Empire, by Jamie Byrom and Michael Riley; The Making of America, by Alex Ford; The First Crusade by Rachel Foster and Kath Goudie; Aztecs and Spaniards, by Kate Jarvis and Richard Woff, Living Under Nazi Rule, by Richard Kennet. Tanya Nelson, a PhD student at Salford University, is conducting research about the use of history programmes on TV channels and TV websites for teaching Key Stage 2 History. Tanya’s research will enable her to develop a new educational television programme format. She has designed a short electronic questionnaire on the use of history films and programmes by Key Stage 2 teachers and would be grateful to anyone who could complete her survey. The Polish Institute is undertaking a survey of European history teachers on digital learning as part of Euroclio’s Innovative History Education for All project. They would be grateful if you could spare a few minutes to complete a short questionnaire. SHP works with our partner, Hodder Education, to provide you with resources that represent the very best of current history teaching. www.hoddereducation.co.uk for details of our publications.